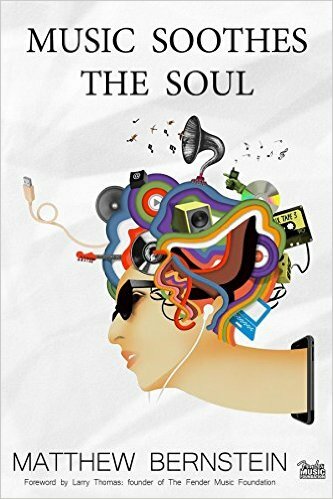 Music Soothes the Soul, a new book by Matthew Bernstein, features interviews with Chaka Khan, Gene Simmons, and 68 other people whose lives are entwined with the music world. Bernstein talked with each individual about his or her life and career and ended by asking each interviewee to complete the sentence, “Music matters to me because…” Chapter 10 focuses on my career and involvement in music journalism. Bernstein is donating all proceeds from the book to the Fender Music Foundation, a charity that provides instruments to music programs nationwide.